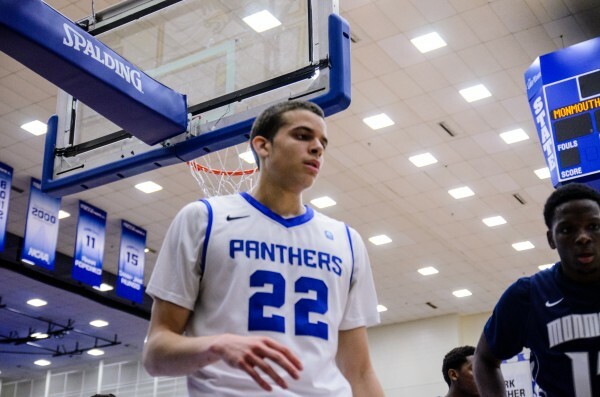 Freshman R.J. Hunter and the men’s basketball team defeated two of their Colonial Athletic Association rivals this past week– downing league-leading Northeastern by a score of 78-73 on Jan. 30 and routing Old Dominion on Feb. 2 by a score of 83-63. Hunter tied a career high with 27 points versus Northeastern. He also contributed four rebounds, five assists, and one very timely block with less than 20 seconds to play to help preserve the Panthers victory. 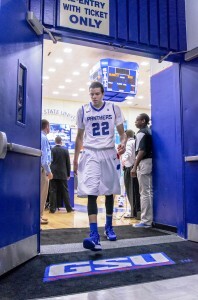 On Saturday night Hunter dazzled the Georgia State faithful inside the Sports Arena with a career best 38 points, including a school and CAA record 10 three pointers. Akiem Bailum, senior sports reporter of The Signal, was able to catch up with Hunter after his historic night. Hunter is the fifth most prolific scorer in the CAA so far this season, averaging 17.3 points per game to go along with 5.5 rebounds per contest (as of Feb. 3).